Here's some tips on how to recover and make the most of it. After a massage you should feel better however, some people who don't get deep massages often, might feel some muscle soreness the next day. This due to your muscles having a toxin in it called Lactic Acid. It is found in everyone's body and when you exercise really hard for a long time it is released into the body and causes an increase of acidity in the cells making the body fatigued and sore. The body will return to a normal level through slow walking, stretching and water consumption. So just like exercising for the first time a deep tissue massage is basically working those muscles in a deep manner and it also will release the same Lactic Acid into your body's system and that is why you might feel worse the next day. Not all people experience this but if you do it is very common and you should just drink alot of water, stretch and move around or some light exercising. Rest - Allow your body to enjoy the benefits of your massage and take it easy for a couple of days especially if it has been a long time since your last massage or if your muscles were very stressed. Limit alcohol after the massage - it is recommended that you limit the amount of alcohol and caffeine after a massage as these will further dehydrate your body. It also has been said that a high carbohydrate meal will help with the recovery. Use ginger root or tea for inflammation and pain associated with sore muscles. 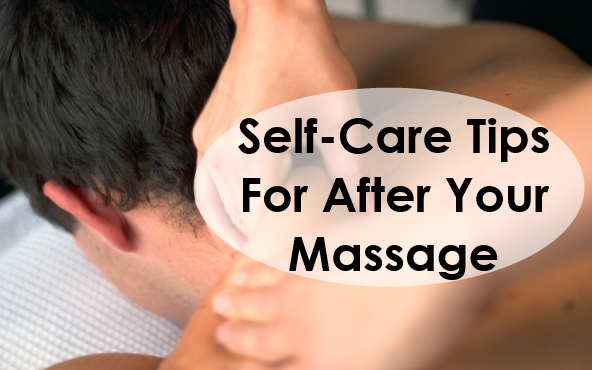 Most importantly, please follow up with another massage as soon as possible because the closer the visits are to one another the better the body responds and the faster you will feel better.